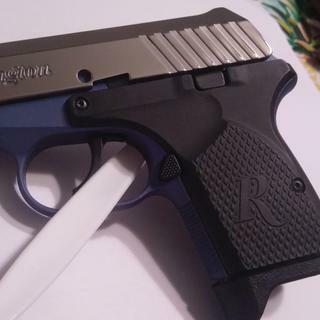 The Remington RM380 is the perfect concealed carry piece. 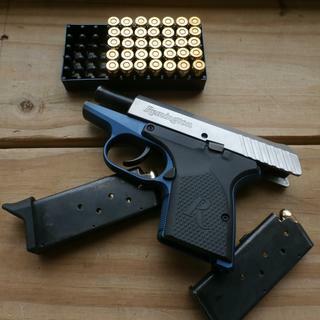 This model is chambered in .380 Auto and sports a Blue and Stainless finish. Remington wants you to carry with style in mind. Long trigger. Took a little time to get proficient with it. Fired 250 rounds out of the box with no malfunctions. Great little gun for the money. Love my rm380. Grabagun had the best price around and shipped to my FFL incredibly fast. Thanks grabagun! Best 380 I've used. Very light slide pull. 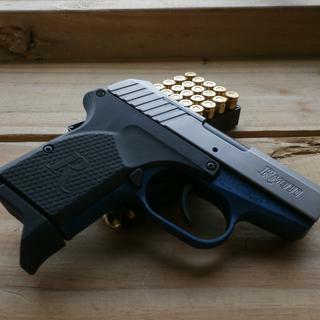 Comfortable and strong full metal design, low recoil, and accurate for its size. Great EDC and recommend spring kit from Galloway Precision. Sweet little piece, 400 rds and counting without a single hiccup. All metal as my husband says “feels good in the hand” took some getting used to because of the mile long trigger pull but I’ve gotten pretty good with it! Nice little gun. Built in Alabama! What a snazzy little piece! Good quality. Well machined. Easy to take apart. Captive pin is a really innovative idea. I haven't had any trouble with it falling out. I polished the barrel and feed ramp. Also polished the flats of the slide. I carry with the pinky extension on the magazine, on waistband in a Braid's holster. It is the best conceal carry rig I have. Rides with me all day and does not print. Doesn't sag my pants either. Slick on the draw with polished flats. Was easy to do and looks cool with the blue frame. Four stars may be a bit low. It may possibly deserve five stars. The only thing that bothers me is the sights are hard to pick up. Other than that, the pistol runs smooth as butter. The trigger is decent and even better after the first round. 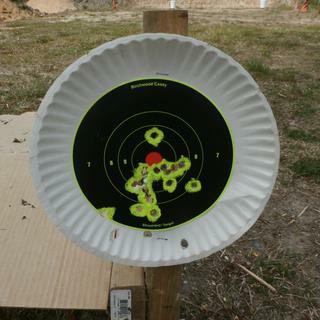 It takes a little getting used to to shoot this pistol what with the sights being hard to pick up, and the trigger a bit tricky on the first round. But after that, it runs as smooth as can be, just as good as any other hammer fired .380 pistol, or maybe even a bit better. Compared to a Taurus Spectrum, I like the RM2380 more, if that tells you anything. Racking the slide to chamber a round is smooth and easy, almost effortless. I was at first surprised, but am always impressed with that part. I've not had a single malfunction in hundreds of rounds too! I would easily recommend this pistol based on all that I have described here. The RM380 has been very reliable so far. 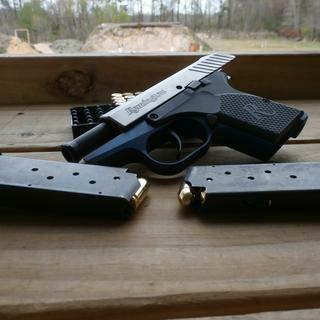 It is not cheap feeling like many other polymer 380s similar to it. My only complaint so far would be the takedown pin will try to slide out if you tilt the gun to he left as you rack the slide but only when done slowly.